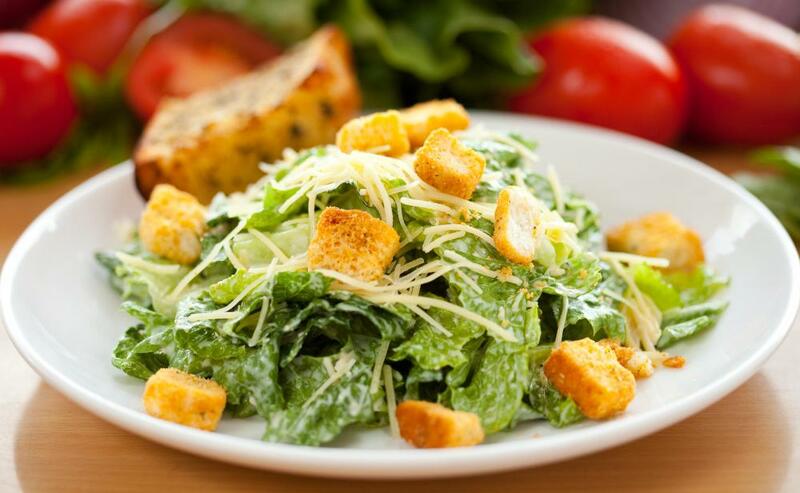 Romaine lettuce is often used as the base for Caesar salad. Different lettuce types can be blended to create a tasty salad. 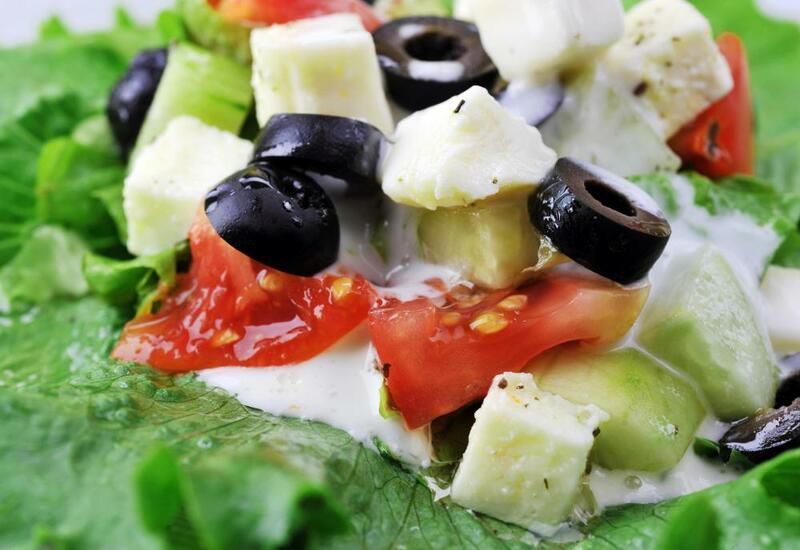 Greek salad with feta, olives, and romaine lettuce. Looseleaf lettuce grows individually on stems. The leafy green vegetable known as lettuce forms the building block of most salads and adds a pleasant crunch to sandwiches. Knowing about the different types of lettuce can help shoppers and diners decide which one is best for them. The most common types of lettuce fall into four categories: crisphead lettuce, romaine lettuce, looseleaf lettuce, and butterhead lettuce. Some leafy greens that commonly find their way into salad bowls are thought to be lettuce by many people, but in fact are not. For many North American diners, crisphead lettuce is one of the most familiar types of lettuce. This variety, which includes iceberg lettuce, consists of pale green leaves that grow from a central core and are tightly clustered, forming a ball shape that resembles cabbage. True to their name, crisphead lettuces are generally extremely crispy and tend to have a very mild, watery flavor. Of the four main types of lettuce, crisphead lettuce has the least nutritional value. Like crisphead lettuce, romaine lettuce leaves grow from a central stalk. Instead of clustering to form a ball shape, however, these medium to dark green leaves project upward from their stalk, creating a blossom shape. Romaine lettuce, the main ingredient in most Caesar salads, is usually fairly crispy, and tends to have more flavor than crisphead lettuce. With its high vitamin content, romaine is one of the most nutritious types of lettuce. As its name suggests, looseleaf lettuce leaves do not cluster around a central stalk, but rather grow individually on stems. Looseleaf lettuce varieties commonly found in the produce aisle include red leaf lettuce and oak leaf lettuce. The leaves of this group of lettuces tend to be fairly soft, and have a slightly more dominant flavor than romaine. Similar to romaine, butterhead lettuce leaves grow out of a central stalk and project upward to form a blossom-shaped head. This group of lettuces, which includes the Bibb and Boston varieties, is usually much softer than romaine, however, and has a bright green color. Its taste is generally fairly mild. 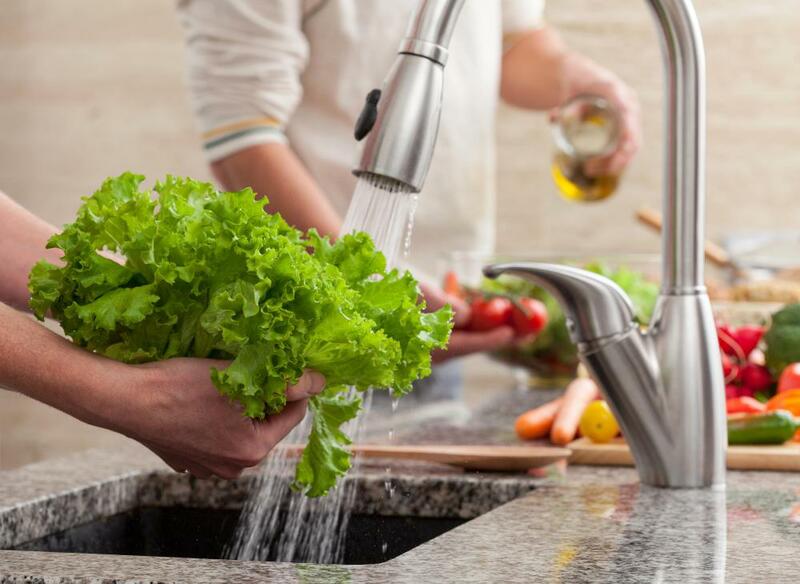 Many restaurant salads and store-bought salad blends contain iceberg, crisphead, looseleaf, or butterhead lettuce that has been combined with other greens, such as arugula, spinach, or endive. 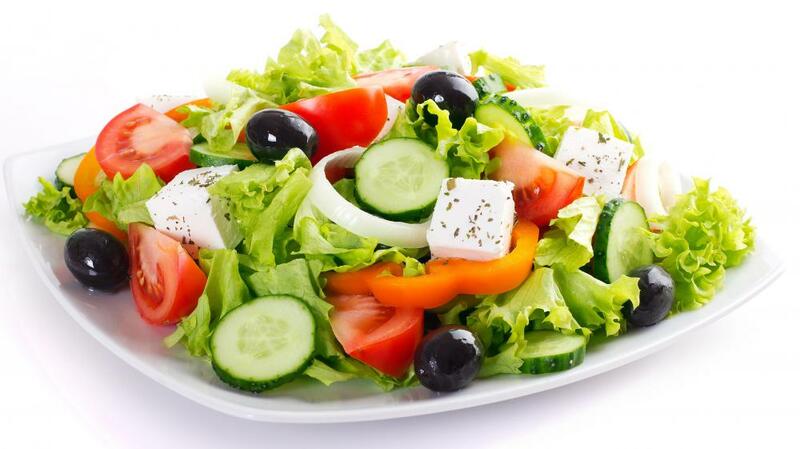 The fact that these latter greens often appear in salads has led many diners to conclude that they are lettuce. While these leafy vegetables are related to lettuce, they are not actually members of the lettuce family. What Is the Difference between Lettuce and Cabbage?